1 Bed 1 Bath 790 Sq. ft. Terrific one bedroom, first floor condo, freshly painted throughout and move-in ready. This perfectly cozy home is the epitome of easy living. The galley kitchen offers crisp white cabinets and a convenient pass-through window to the dining room. Crown molding is featured throughout the unit and custom built-ins in the dining room are perfect for displaying your favorite dishes, photos, and family treasures. The open layout makes entertaining family and friends a breeze. Sliders lead out to the quaint patio ideal for enjoying your morning coffee. The spacious bedroom features brand new carpeting and a walk-in closet with a fantastic storage system. The unit also offers laundry with washer and dryer included in the sale. Summer is right around the corner and it's the perfect time to take advantage of the association pool. 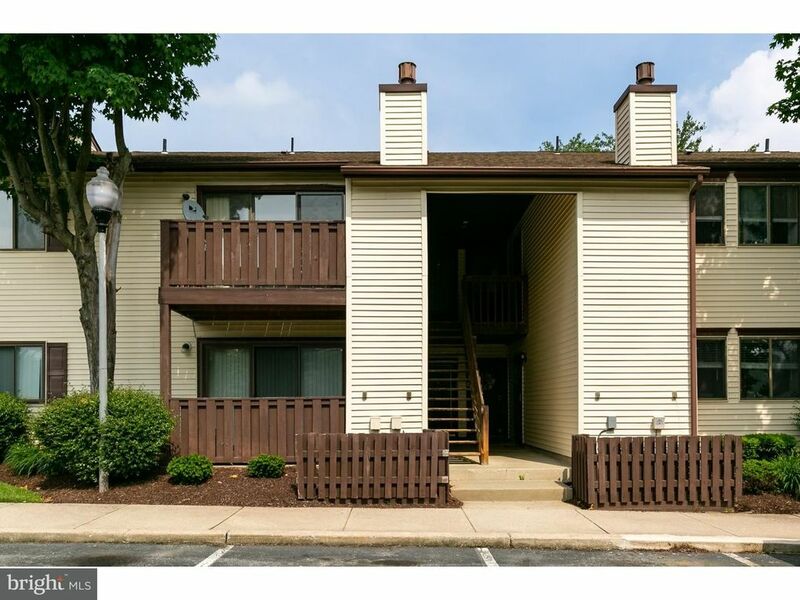 Marlton has tons to offer and this complex is in close proximity to shopping and restaurants, as well as major highways. Pack your bags and move right in. 1 beds 1 Bath 790 Sq. ft.